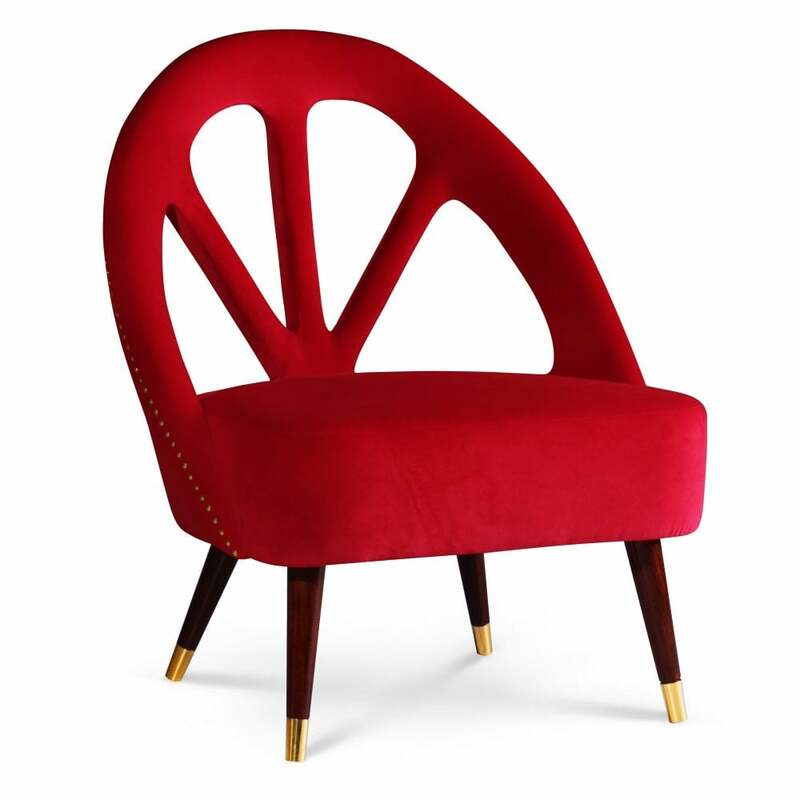 Drawing inspiration from feather fans used in burlesque dance, the Scarlet Armchair has a mid-century modern shape and Parisian elegance. Upholstered in a vivid red satin, the contoured backrest features beautiful cut-outs with detailed brass studding. The unique back and seat shape will add a glamorous touch to your living room scheme. The hand-crafted structure is supported by solid walnut legs with brass feet. Style with a neutral colour palette to let the armchair create a statement. Get in touch with our team to discuss finish options. Priced for Upholstery: Ottiu Fabric. Structure: Beechwood, legs in walnut wood with high gloss varnish, polished brass feet and nails.